The following article and interview is for independent sales reps who are interested in selling the latest in electric Scooter/Moped technology. Potential Clients include: Automotive/motorcycle dealerships, restaurants and fast food establishments that provide a home delivery service, courier firms, logistics, bike hire companies etc. A major shift is currently taking place in the Automotive industry. The majority of Automotive manufacturers now have hybrid cars on the Market, and even some supercar manufacturers like Ferrari, McLaren and Porsche utilise electric power to supplement the performance of their cars power-train. Now the same thing is happening in the world of two wheel motorised travel and one CommissionCrowd member company is leading the way in this field. The following interview will give you an insight into this company, their vision for the future of personal travel and the benefits of choosing electric over gas power. They are also currently offering self-employed sales agents a great opportunity to partner with them and sell their products globally. Where did the inspiration to start manufacturing electric vehicles come from? It became quite clear to us a number of years ago that electric vehicles are the future and the advantages to businesses and consumers offered limitless opportunity. We had been researching available electric vehicle technology for some time and decided we could go one better. eGen started producing electric scooters and electric mopeds that would save consumers money and increase margins for businesses while doing our part to offer a clean and green alternative for the next generation - for our children and grandchildren, who can breathe better air than us. Global electric motorcycle & scooter sales are currently over 4.1 million units per year. While mainland Europe has embraced electric scooters, with armies of silent and efficient scooters travelling the streets of Europe’s capitals, the UK market remains a huge opportunity. The technology has developed at an unprecedented pace ensuring the current electric moped scooters are reliable and robust. Given the increasing level of attention from the government to encourage green modes of transport, electric scooters, mopeds & motorcycles are capturing their attention. 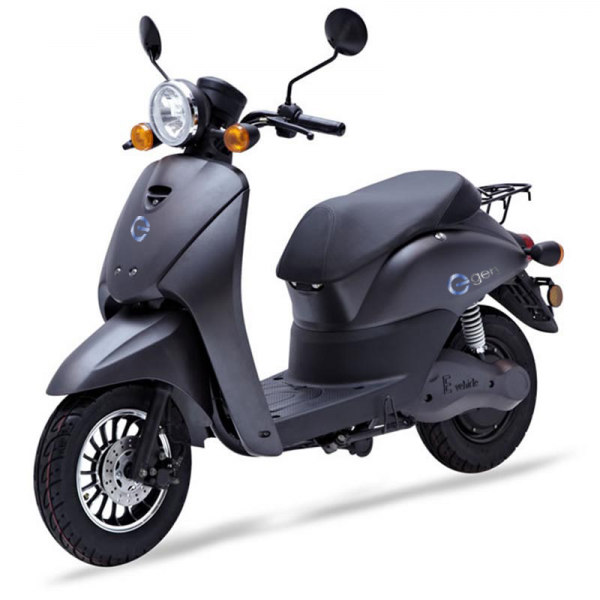 Government grants towards the purchase of electric two wheelers are expected in the coming weeks. What type of company or individual purchases electric scooters? Electric vehicles particularly appeal to forward thinking businesses and individuals. These are businesses looking for ongoing reductions in running costs while providing themselves a unique marketing and PR opportunity as well as individuals looking for an environmentally friendly alternative to their daily commute. Our electric delivery scooters are used by restaurants and fast food takeaway establishments to save significantly on delivery running costs. What are the advantages of electric scooters over petrol? Electric scooters provide a number of advantages over their petrol counterparts. The low number of moving parts means that servicing and maintenance are far cheaper - up to 80% lower. We have also seen a number of councils move towards banning noisy and polluting petrol scooters from built-up areas, a trend that appears to be growing. Our silent electric scooters and electric mopeds have already been approved by a number of councils. There is also no road tax to pay, no congestion charge and no emissions! Daily running costs are virtually zero and we future-proof our clients against restricted emission zones in and around major cities. What makes your electric mopeds and scooters unique and innovative? Our scooter mopeds boast high quality removable lithium ion batteries with battery management systems allowing takeaway businesses to achieve 50 miles per charge while the ability to hot swap the removable battery provides potentially limitless range. We realise that time is money so also offer quick chargers to shorten the charging time. The range benefits takeaway and delivery businesses in so many ways from programmable motor controllers with bespoke acceleration profiles to tie-ins with servicing partners to take care of all your maintenance needs. 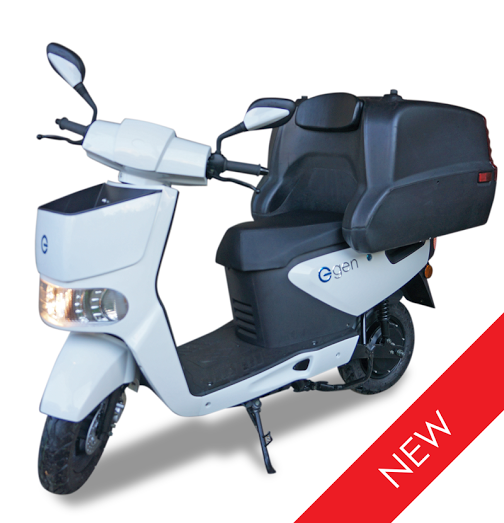 We can even offer a heated topbox for our electric delivery scooter! Have you received any recognition or awards for your products/services? We are extremely pleased to have been nominated for the innovation award at the Takeaway Innovation Expo 2015 at The Excel Center on September 29-30th September. This is a huge honour for us and reflects the leap forward offered by our eG-D1 electric delivery scooter. The market potential is huge but we do not have the time to target every parcel delivery company, food delivery chain and logistics company ourselves. Any company that transports goods or people on two wheels can improve their margins by using eGen’s products. The multiple and repeating order nature of the business maximises the return to an agent for their time spent. As you can see, we provide an exciting product with global appeal uniquely placed in to a growing market segment offering multiple, repeating orders with good commission levels. 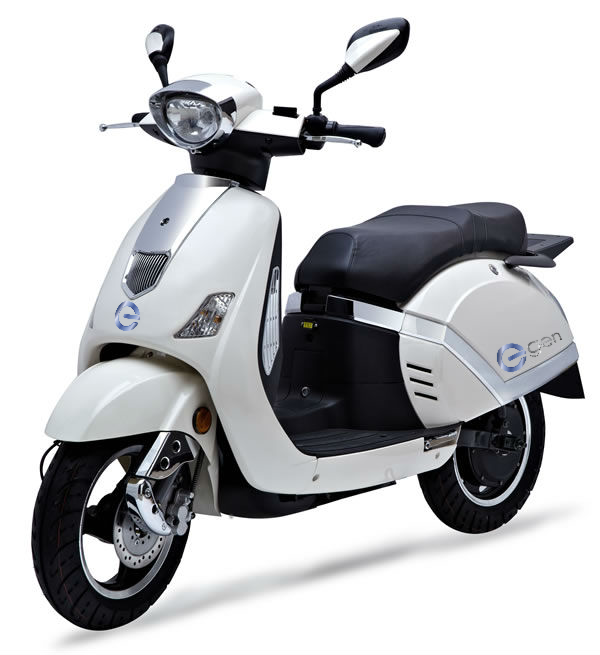 Self-employed sales agents must believe in eGen Electric Scooters, working in partnership with us to push the business and capture the huge market potential of the increasing demands for reliable electric scooters and mopeds from individuals and businesses. Where do you see the electric Scooter industry going in the future? The biggest change is the pending arrival of government incentives for the purchase of electric two-wheeled vehicles. This will be a watershed moment for the electric scooter moped industry in the UK providing an entry point for mass adoption. In terms of technology, batteries improve year on year. Therefore each year the density of batteries increases while the cost of the previous generations drops so we can continually offer more value year on year and are continually refining and improving our products based off of feedback and as new technologies emerge. What are you plans for the future of eGen? We have just launched a rental arm allowing customers to try our scooters before they buy. Generally, once they have tried electric, it is difficult to move back to petrol! We are also currently expanding to two further overseas territories and see this internationalisation accelerating. We're also investing heavily in marketing this year to become the leading UK brand for electric scooters and further develop our global footprint. We plan to work with MCIA and eMCIA to promote electric scooter mopeds industry. The ultimate electric city scooter! Features a removable Lithium Ion battery making it the perfect companion for daily city commuting. Congestion charge exempt, this premium electric scooter pays for itself in no time! 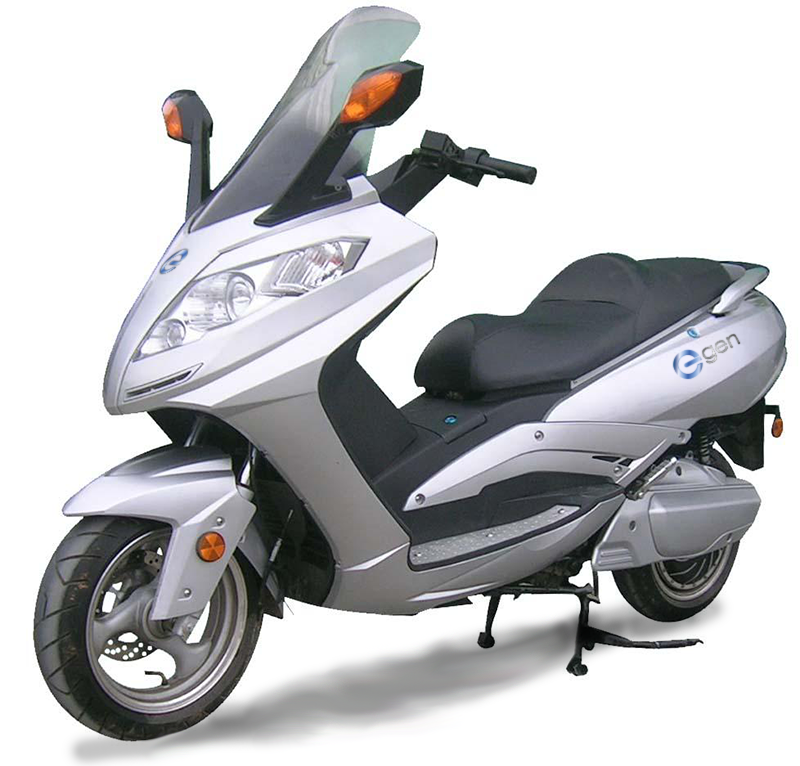 Premium Electric Scooter Moped with large fixed battery featuring a modern design with large storage capacity. It doesn't get much better than this premium electric scooter. For those who absolutely must have the bleeding edge. 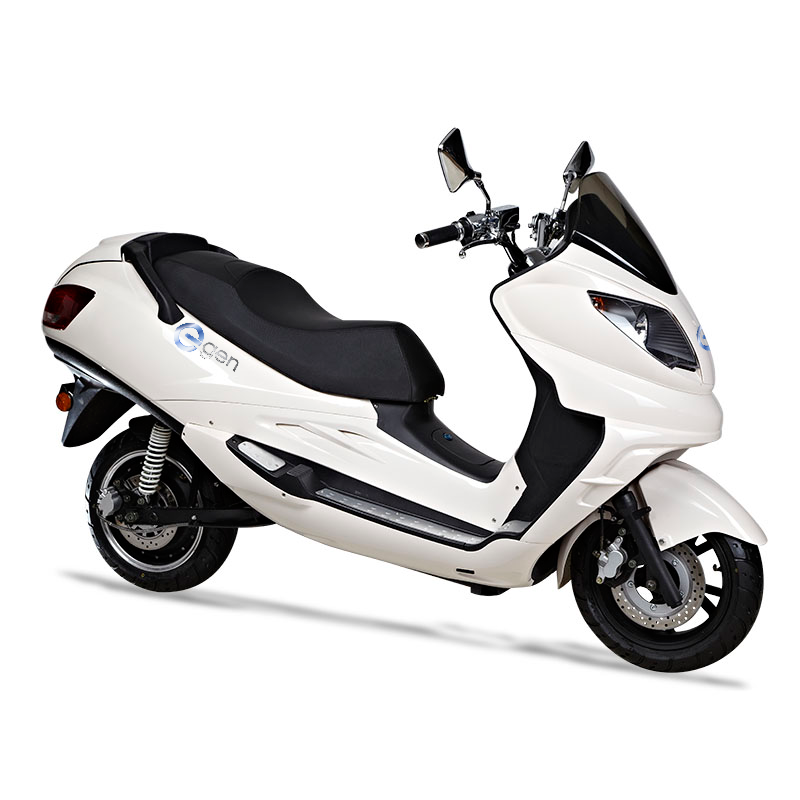 Available with up to 10kW of power/equivalent of a 400cc petrol engine and good for up to 80 miles range this truly is the finest electric scooter money can buy.